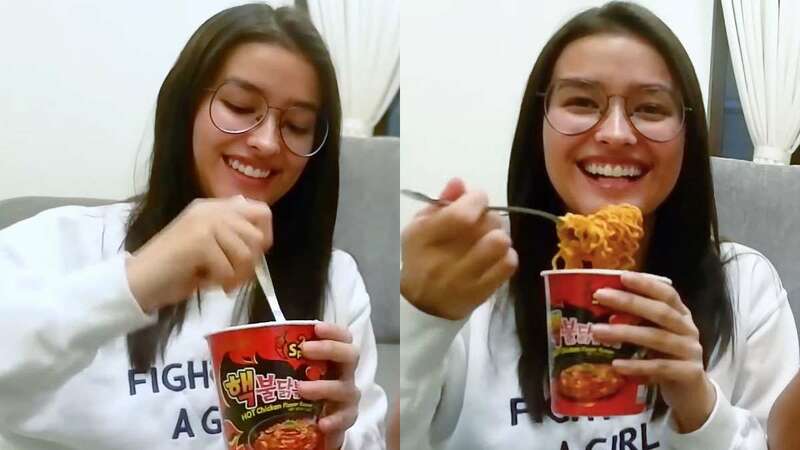 Liza Soberano is the latest local celeb to jump in and take on the Spicy Noodles Challenge! Liza's good friend, television and film actor, Milo Elmido invited her to take on the challenge and filmed the whole thing. The video was shot in Liza’s own home during the wee hours of the morning—it was 2 a.m.!—where they prepared the infamous spicy noodles right in her kitchen. When asked if she has tried on this challenge before the video, she said, “Ginagawa ko syang meryenda.” LOL! You go, Liza!